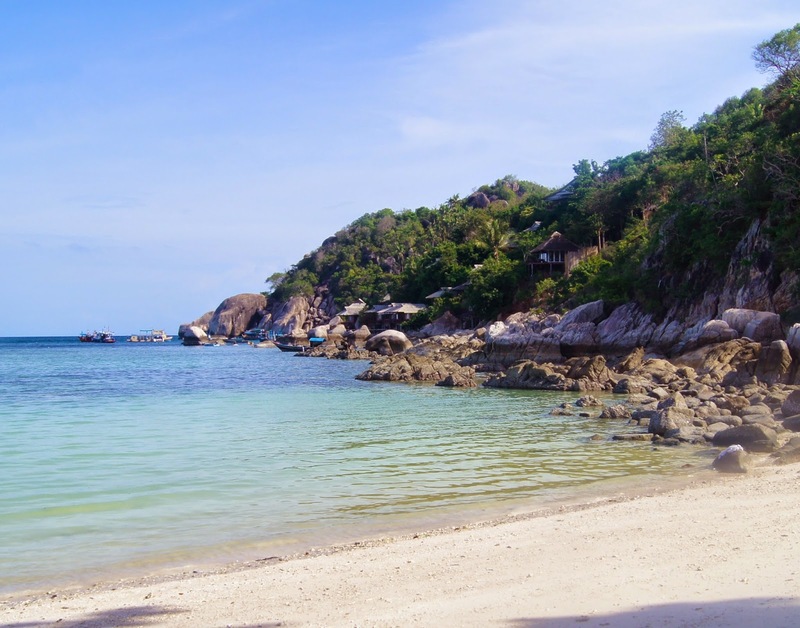 For the second half of our Thailand trip, we headed to the islands of Koh Samui and Koh Tao. As we were there at the start of the rainy season, we stuck to islands on the East Coast to avoid any miserable weather and non-stop downpours. 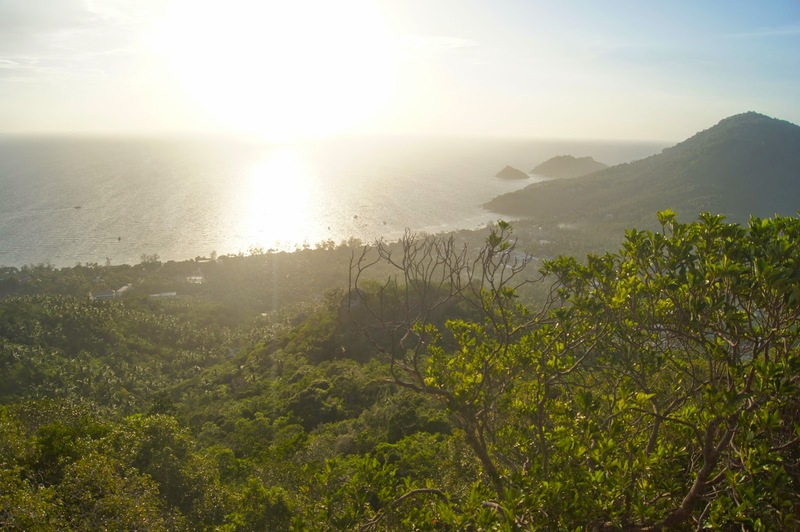 With the white sands, clear waters and lush, green trees, both islands felt like paradise. 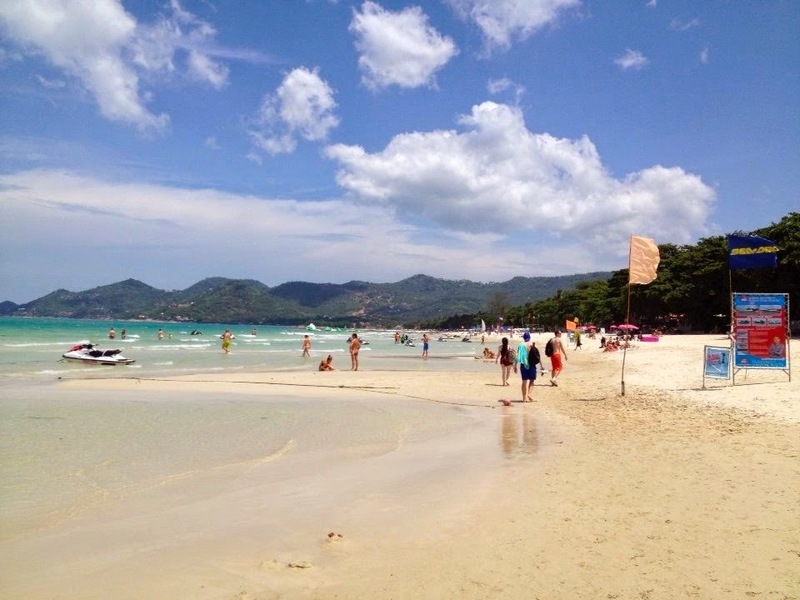 After the chaos of Bangkok and Chiang Mai, the idyllic beaches and scenes straight from a postcard were just what we needed. 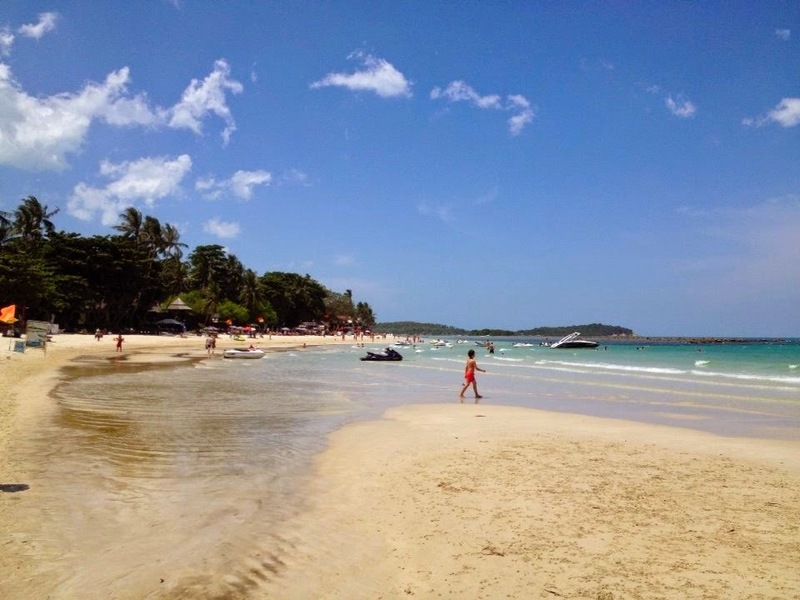 From Chiang Mai, we got a flight to the tiny airport in Koh Samui. The majority of our time there was spent relaxing on the beaches and frolicking in the sea. Be warned, in the shallower areas of water, there can be a lot of coral and painful, but harmless, sea dwellers to be wary of whilst swimming. On our first day, my friend Ben got stung by a sea urchin, which resulted in a hospital trip, but no major damage. For a relatively small island, it's super busy, which does spoil the picturesque surroundings somewhat. But, finding some quieter parts of the island is possible if you explore and some hotels have private beaches. One of our days was spent kayaking around the island, beach hopping along the way. 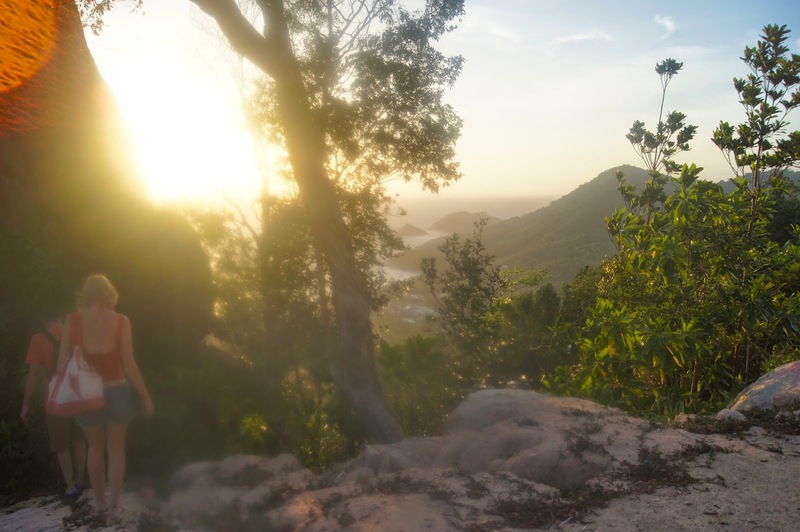 With temperatures reaching 33ºC, it was exhausting, but so worth it. Borrowing kayaks from our hotel, we started off on Chaweng Beach and managed to get as far as Choeng Mon Beach before we returned, stopping off along the way. All of the glare from the sun reflecting off of the sea did leave us a little red in places, unfortunately, despite liberally slathering on factor 50 at regular intervals. As we had limited space on our kayaks and to avoid any watery disasters, I left my camera at the hotel, so I didn't manage to get any shots from our escapade, but it was definitely a holiday highlight. 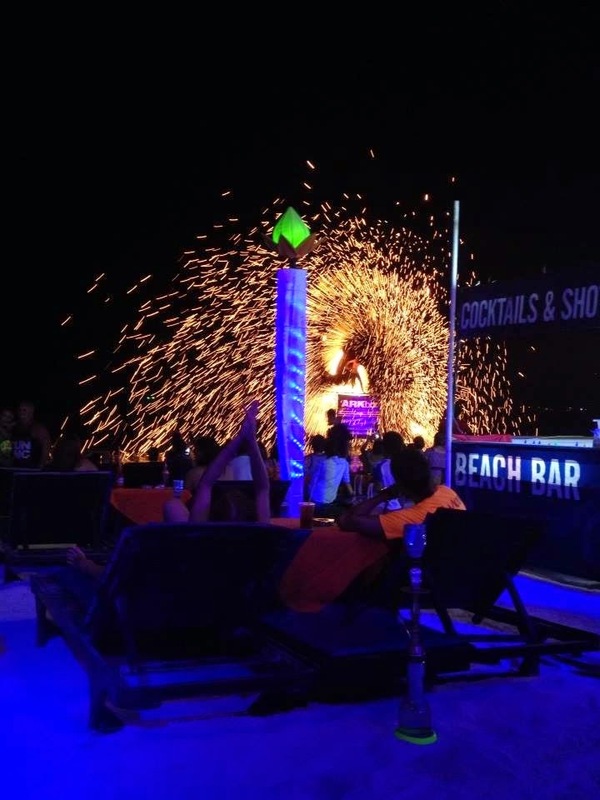 Each evening, the main beach of Koh Samui, Chaweng, comes alive. Bars and restaurants set up their tables next to the water, music blares out and, on certain nights, entertainers put on shows. 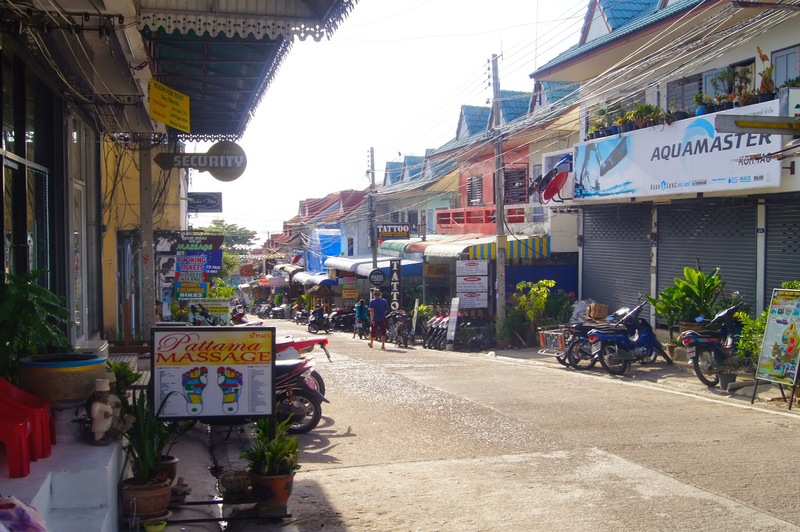 There's plenty of bars to choose from, but the main street can get rowdy and is typical of any major tourist destination, with cheesy music and karaoke. 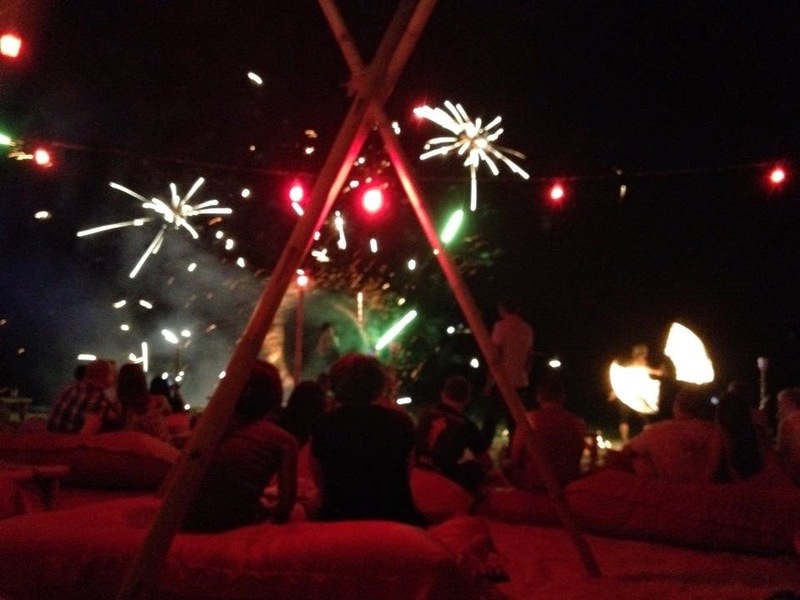 Sitting under the stars with a cocktail in hand, the evenings can be just as relaxing as the days if you move away from the central section of the beach and head further south. 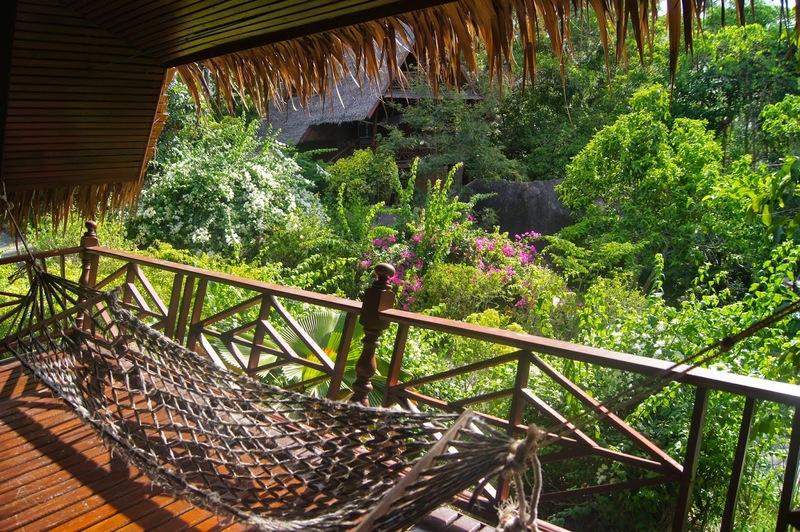 In Koh Samui, we stayed in a private bungalow at Al's Laemson Resort, which was my favourite hotel of the trip, by far. Our impressive rooms were spotless, had amazing air-con and more than enough space. Top notch, the bathrooms had private, outdoor showers which were bliss. With the hotel's pool right round the corner from our room, a private beach and the best breakfast buffet of the whole trip, the resort definitely got my seal of approval. 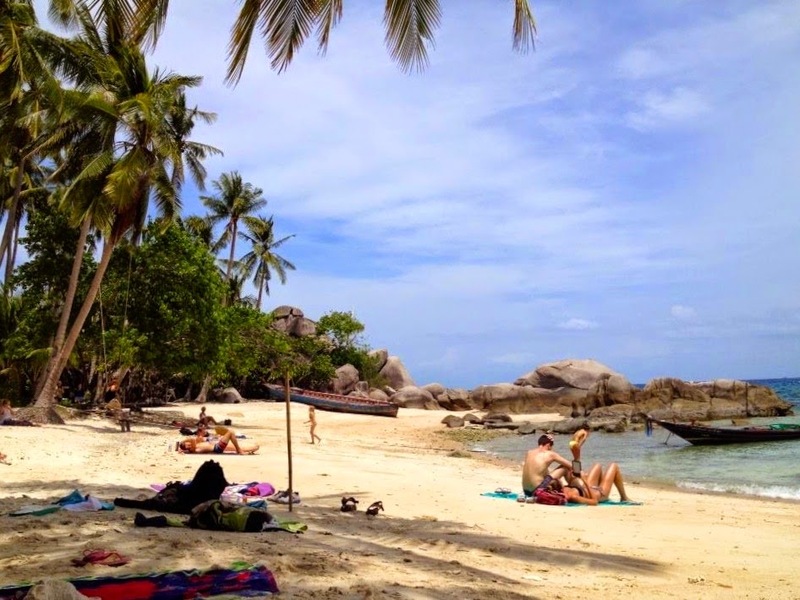 From Koh Samui, we caught a ferry to Koh Tao, which takes a couple of hours. As soon as you're back on dry land, you can immediately feel the difference in atmosphere. Less developed than its neighbours, the island has only one, main road and the rest are either sandy paths or in poor shape. Small enough to walk from one end of the island to the other in just a few hours, it's quaint and a lot more laid back. 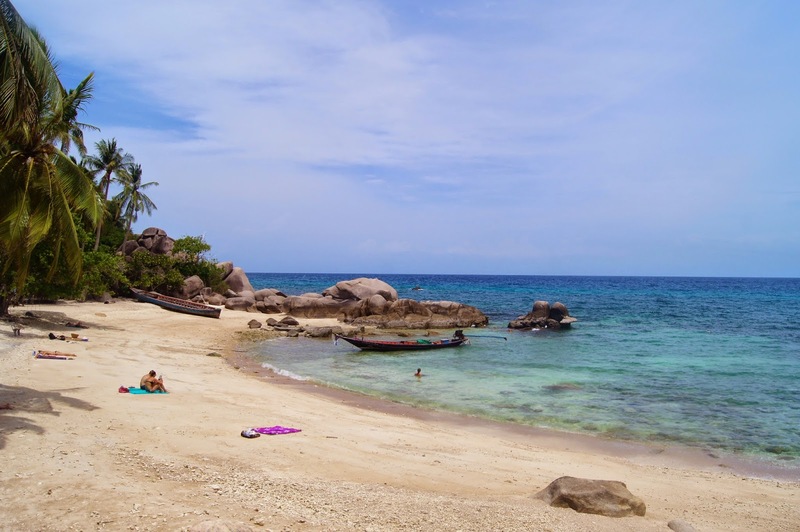 Tourism is Koh Tao's main source of income, but the focus is mainly on diving, so it doesn't feel as intense or intimidating as other places. Early evening on our first night, we decided to walk up to the impressive Two-View point and luckily managed to catch the sun setting. Little did we know, what we thought would be a casual stroll up a slight hill and some steps, would actually turn into a very sweaty, treacherous hike that involved navigating earth that had experienced what looked like a landslide. Fortunately, it only became fully dark once we had reached the bottom of the mountain again. Sitting on a boulder that seemed to defy gravity above a sheer drop into the forest, the view was breath-taking and really one to make you put things into perspective. 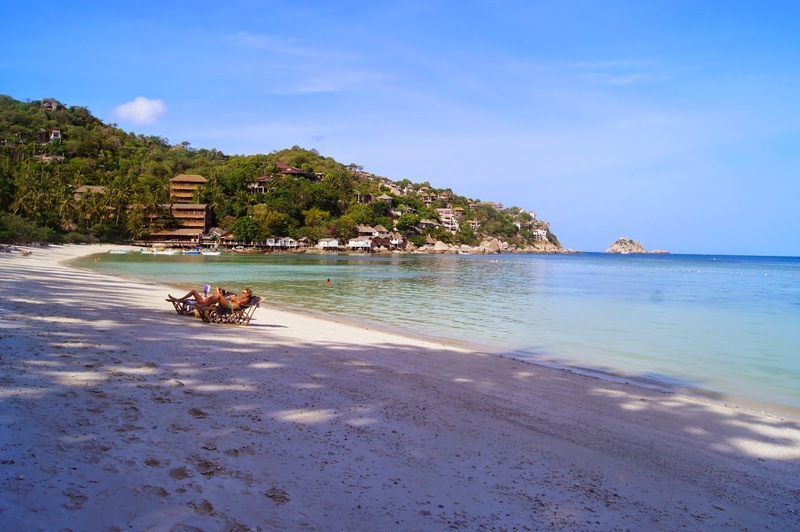 Koh Tao is renowned for scuba-diving, thanks to the shallow, warm waters. 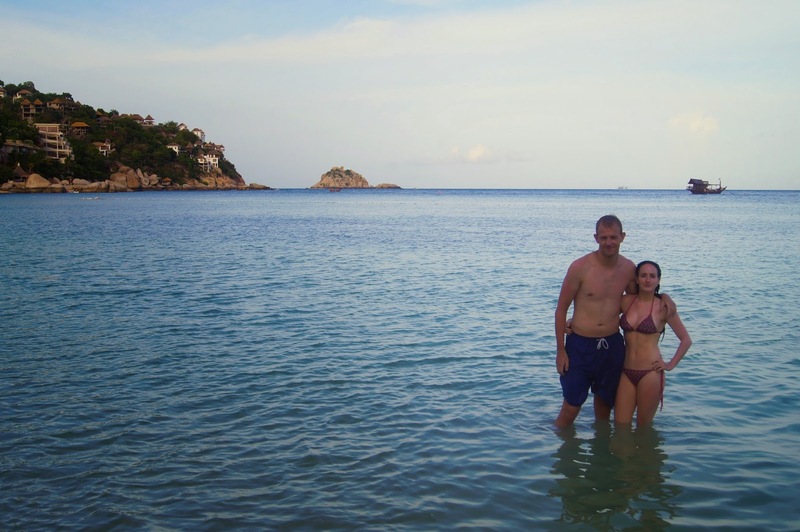 As we weren't previously qualified and didn't want to spend only days training to become certified, when it takes months to learn at home, we skipped diving and did a tonne of snorkelling instead. Sharks, turtles, colourful fish and intricately detailed coral are all there to see, depending on the time of year. 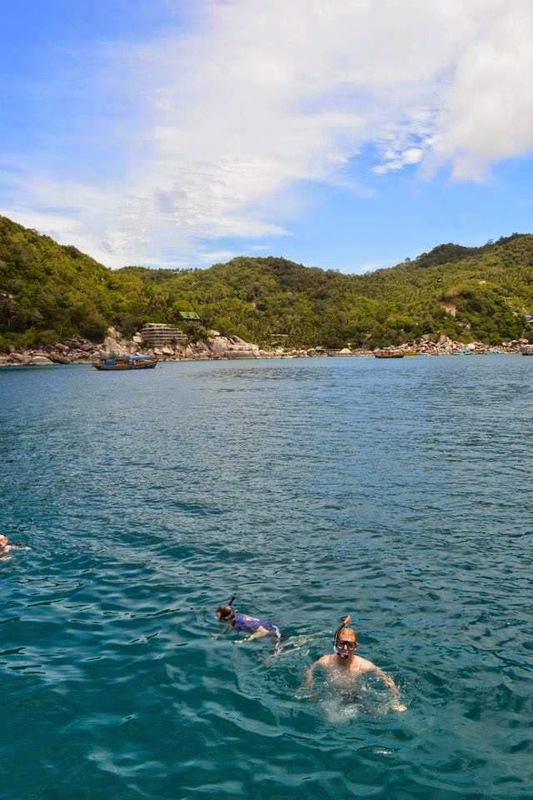 As part of our very bumpy, but thrilling, snorkelling trip with Diamond Tours, we stopped off at four different bays around the island, before finishing off at the beautiful Koh Nangyuan. Two, tiny islands are joined together by a long stretch of perfect, white sands, creating lots of shallow areas to explore. A wooden plank walk along the edge of the south island takes you into the trees and a steep set of steps leads up to the most incredible view of the whole place. I'd definitely recommend purchasing your own snorkeling gear and taking it along with you wherever you visit, just in case you come across the ideal spots to take a dip. Whilst the tours are cheap and great value, it's easy to work out which bays have the best underwater inhabitants. 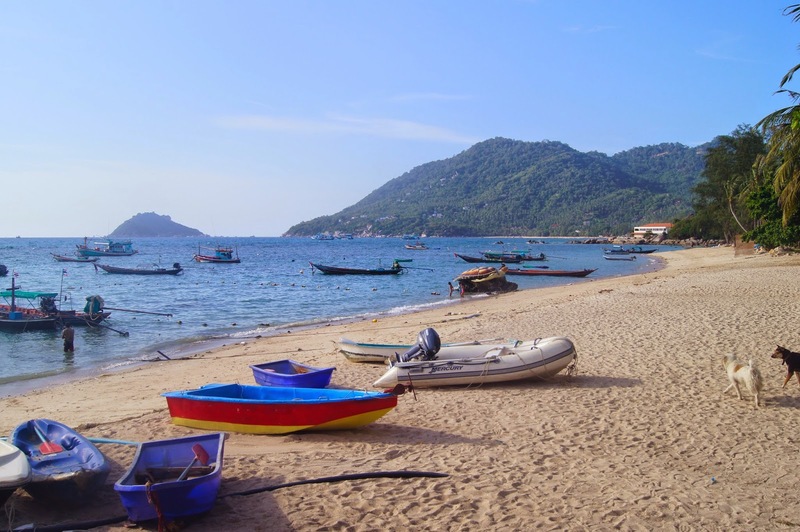 Plus, many of the tours don't want to waste petrol travelling to the other sides of the island, leaving lots of untouched gems on the north and east coasts free from boat loads of tourists. To find the best beaches on the island, it's best to do your own exploring. 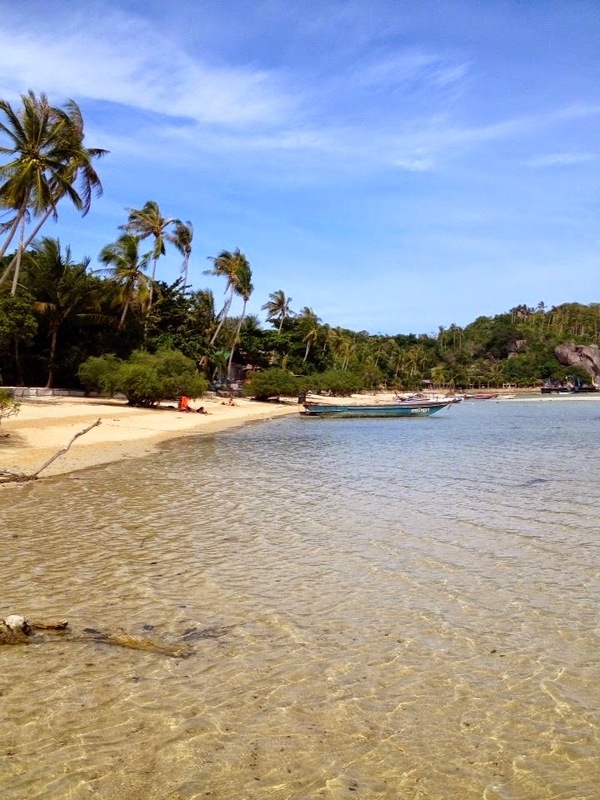 Following the island's circumference, we came across some beaches that were practically empty. You may be asked to move on from a couple if they're supposedly private and you aren't from the adjoining hotel, but most are free to roam and sunbathe on for as long as you like. A trip to Thailand wouldn't be complete without a massage and I decided to save mine until our last day on the beach. With the sound of the waves and the miracle work of the masseuse, I'm so glad I did. I would've appreciated a heads-up on the totally unexpected and brutal back clicking, though. Jeez! 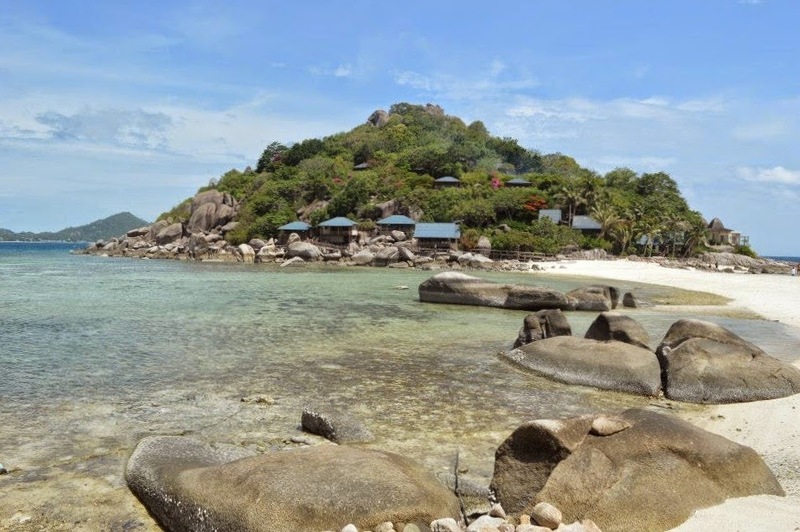 When my friend Andy booked the Koh Tao Royal Hotel for our stay on the island, I don't think he was expecting it to be quite as exciting as it turned out to be. More like a tree house, our bungalow was balancing on stilts and was made pretty much entirely from wood. High up in the trees, it honestly felt like we were in the middle of the jungle. Basic, but comfortable, our rooms didn't feel the cleanest and the bathroom left a lot to be desired, but it was fun to stay there. The hotel staff couldn't do enough to help you and the restaurant was right on the beach, serving delicious food. 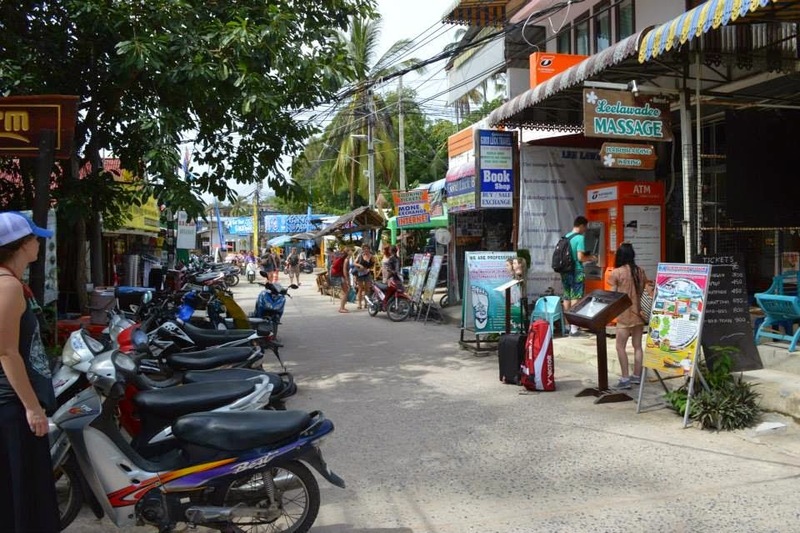 Before flying, we spent one night back in Koh Samui, which was all good, apart from our accommodation. Our room at the Kirati Beach Resort was nothing to complain about, but the service was shocking. As soon as we arrived at the hotel, we made sure to ask them to book a taxi to the airport for 4am, reiterating how important it was, which they apparently did. Ready and waiting for a good, twenty minutes, no-one turned up. At that point, Ben and Andy walked down the road to see if they'd possibly been waiting elsewhere or if they could find another taxi, with no luck. 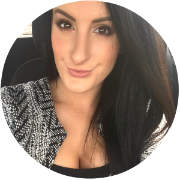 By then, the check-in window closing time was creeping ever closer and we started to worry, having visions of us being stranded in the middle of nowhere and missing our flight home. Fortunately, after deciding to attempt to walk there, we came across another resort and a staff member kindly got a hotel driver to take us to the airport in time. Not the next morning, but a couple of days later, I received a few emails from various hotel staff members. Apologising for missing our 'appointment', they were desperate for us to forgive them and not let that spoil our view of their resort, or cause us to give them a bad review. They hadn't actually booked a taxi and planned on driving us themselves, but still gave us no reason for not turning up. Considering their error could have added a lot of expense to our trip, I was totally dumbfounded by their response. Surely we weren't the only customers to have stayed there that had an early morning flight to catch? It was such a shame that our wonderful holiday ended on a sour note, but thanks to the generous act from the man who arranged another lift for us, we could all laugh about it. 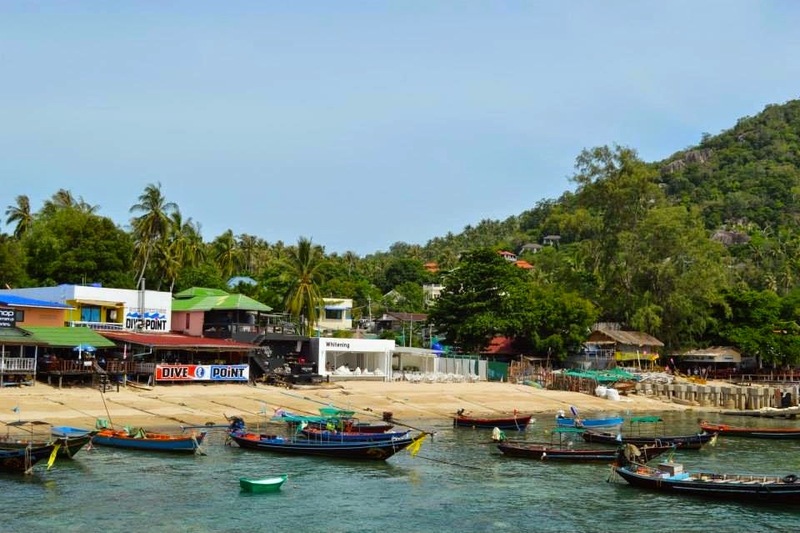 Whatever you do, definitely steer clear of the Kirati Beach Resort, Koh Samui! 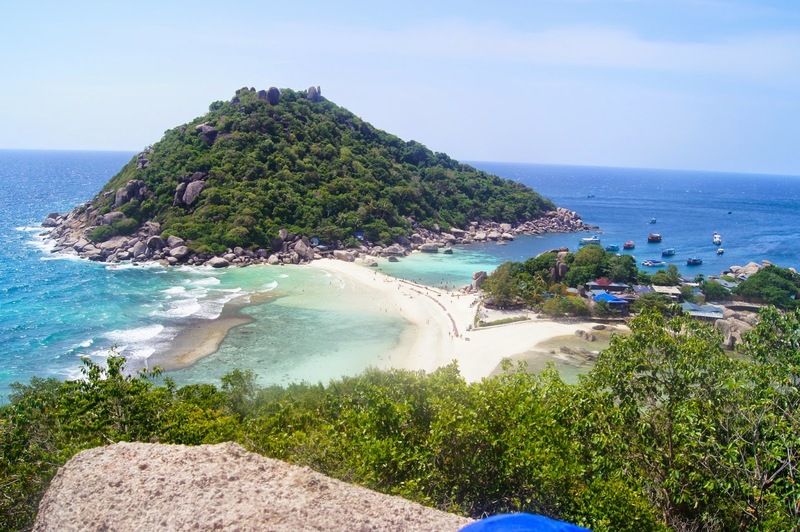 Have you been to any of the islands in Thailand?